EXCLUSIVE: NEW MONDO POSTER FOR SANTA SANGRE! 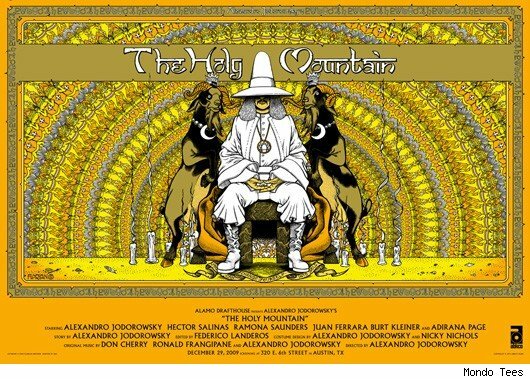 The good folks at Mondo commissioned an outstanding piece of art by Florian Bertmer, (who also created this stellar Mondo poster of The Holy Mountain), for the one night only screening of Santa Sangre at the Alamo Drafthouse in Austin TX tonight. Mondo’s posters are printed in very limited numbered runs and are usually gone within minutes of going on sale. The Santa Sangre poster will be super limited run of 200. And will be available tonight at the screening at the Alamo Downtown and then tomorrow on Mondo’s website. With thanks to Mondo’s Justin Ishmael for this exclusive look. The SANTA SANGRE Special Edition streets next Tuesday, January 25th. Pre-order now amazon.com!